Anyone who’s ever struggled to get a weldment out of a poorly designed fixture will attest to the importance of fixture design. At Bancroft Engineering, we understand the amount of detail required to design and build the simplest and most complicated weld fixtures. A good welding fixture must have it all: quality, durability, accuracy, and repeatability. 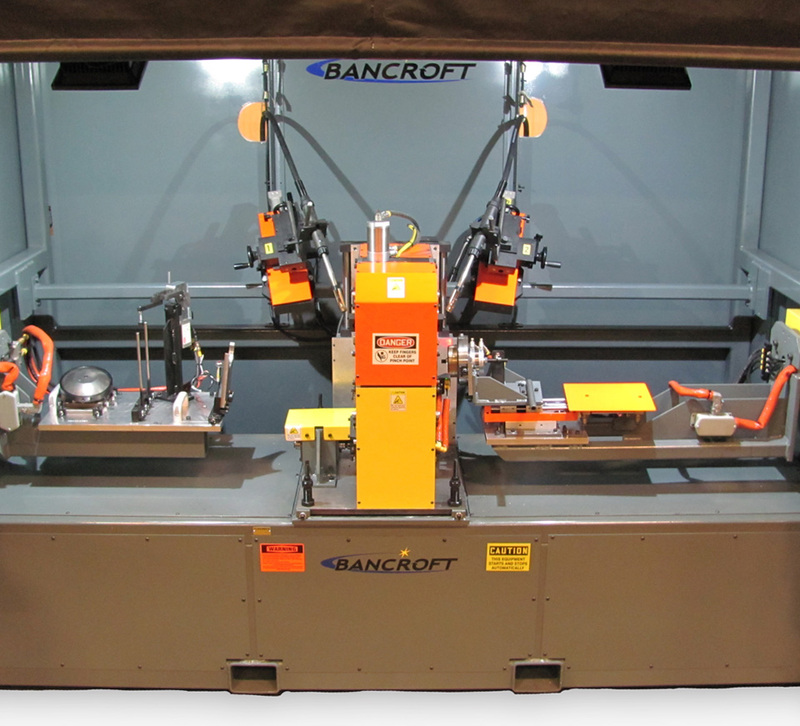 Bancroft Engineering designs and builds welding fixtures for a wide range of manufacturers. Our engineer’s 3D model every fixture design in SOLIDWORKS® for your review and approval followed by managing the complete project including fabrication, assembly, and final testing. Whether its cycle time reduction, improved accuracy and precision or both; we invite you to share your unique challenges with us. Let one of our engineers get started on a custom welding fixture for you. We pride ourselves on face to face meetings and give personal attention to every customer. Whether you want to communicate by phone or email or visit us in person for a tour and hands-on demonstration, we look forward to working with you on your next fixturing project. Automated Welding Equipment: To Replace or Not to Replace? BANCROFT expertise and technology will improve your welding operations. From simple stand-alone machines to full robotic automation cells. BANCROFT is uniquely qualified to furnish reliable, cost-effective solutions.